Developed by the Producers of Arrow together with former Flash writer (and DC Comics God) Geoff Johns, The Flash is the latest small screen venture from DC/Warners and sees star Grant Gustin (Glee) hit the ground running – pun very definitely intended – after his two episode stint on that afore-mentioned sister show introduced viewers to Barry Allen, a Crime Scene Investigator from Central City – destined to become the iconic ‘Fastest Man Alive’ aka the DC Comics hero ‘The Flash’. 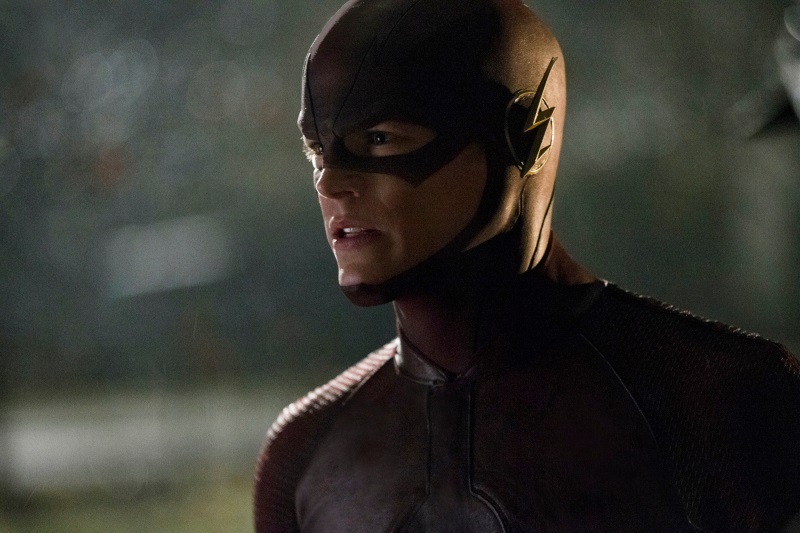 The series premiere of The Flash picks up where Gustin’s Arrow appearances left off, with Allen discovering his new abilities in the wake of the STAR Labs particle accelerator explosion – it’s not essential to have seen those episodes of Arrow as all the essentials are dealt with via flashbacks/narration, but it does enrich the viewing experience…especially when it comes to a particular surprise cameo. We’re also introduced to the other cast of characters of The Flash – including Allen’s best friend/quasi-love interest Iris West (facilitating some of the show’s weaker soapy elements), Central City cop Eddie Thawn and STAR Labs wiz-kids Ramon and Snow (who are no Fitz and Simmons, but it’s early days). Most prominent though are Jesse L. Martin as Iris’s Detective father, who also serves as father figure to Allen and Tom Cavanagh as the enigmatic (and shady?) Dr. Harrison Wells. Whilst a little time is taken to introduce the show’s supporting characters, it’s Gustin that rightfully stands out front and centre – infusing his performance with a believable and likeable underdog quality and is sure to be key to the show’s success. Having Geoff Johns involved is a definite bonus, having written lengthy runs of Flash comics he has a well-developed understanding of the character and his place in the wider DC Comics universe (look out for the many fan-pleasing Easter eggs sprinkled throughout). Character and story aside, The Flash features some very impressive digital effects work with an exciting finale (handled more than adeptly by veteran director David Nutter) that’s almost worthy of a feature film as the central hero faces his first villain. Speaking of villains, the notion that Allen was not the only person to be ‘affected’ by the particle accelerator incident means there will be many more for the titular hero to face – it’s a nifty plot device which hopefully the show’s writers won’t rely on too heavily, lest it become tedious further down the line. The overall tone of the show is surprising – it’s clearly not as dark and gritty as Arrow yet not even as close to light and goofy as many would expect. Of course, the fantastical element of dealing with superpowers (which Arrow is largely committed to ignoring) together with a more morally clear central hero will set The Flash apart and should provide an interesting counterpoint. The bottom line: The Flash is off to a strong start, it certainly has legs so here’s hoping it keeps running! The Flash airs in the UK on Tuesdays at 8pm on Sky 1. US viewers can catch it Tuesday nights on The CW. Grant Gustin proves the perfect lead as Barry Allen in the exciting series premiere of The CW’s ‘The Flash’. What did you think of the series premiere of ‘The Flash’? Share your thoughts below! Having endured mixed reactions from fans and critics for much of its first season, it was great to see Agents of S.H.I.E.L.D. begin to find its creative footing as it moved from the format of an episodic family-friendly procedural to something edgier and more arc driven as Marvel’s fledgling show linked into the events of big screen hit Captain America: The Winter Soldier. AoS makes a confident and sure return – kicking as much back-side as Ming Na-Wen – as “Shadows” picks up were season one left off, with ‘Director’ Coulson leading the remnants of S.H.I.E.L.D. in the fight against Hydra and other extraordinary threats to the general populace. 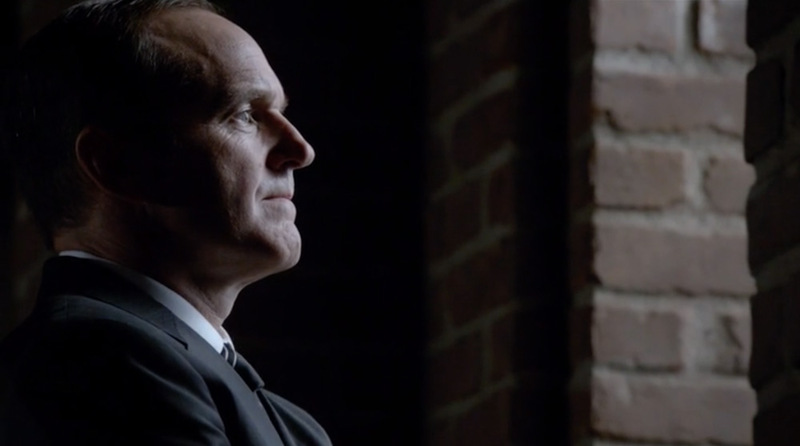 As the episode title infers, Coulson and his team are now working from the shadows as they continue to thwart the plans of their enemies whilst evading capture by the U.S. Government. Much as the show’s direction has undergone some change, so has Coulson and his team. Whilst Skye has become an adept and loyal agent, Ward must deal with the consequences of his betrayal (allowing some rather creepy Silence of the Lambs-esque moments between Ward and Skye) just as Fitz’s mental state is fast deteriorating – offering more depth and dramatic potential for actors Brett Dalton, Chloe Bennet and Ian DeCaestecker. The team are also joined by some new faces including former Cylon and Warrior Princess Lucy Lawless as Isabelle ‘Izzy’ Hartley – a beer swilling tough cookie that could very nearly give Agent May a run for her money. Although Clark Gregg feels absent from much of the episode, his inclusion is no less significant and his narrative sparring with Adrian Pasdair’s General Talbot are amongst the episode’s many highlights. The episode’s plot surrounding a stolen Hydra artefact is serviceable, yet intriguing, and offers links to the larger live action Marvel Universe as well as hints at this season’s story arcs. Despite a sizeable threat from superhuman heavy Carl Creel (aka the Marvel Comics villain ‘The Absorbing Man’), facilitating the episode’s requisite action, it’s arguably the show’s characters and their plight that are now in the driving seat. The season premiere’s real treat though comes right in it’s opening scenes as we flashback to 1945 as Hayley Atwell’s Peggy Carter and the SSR (the proto-S.H.I.E.L.D. organisation established in Captain America: The First Avenger) lead the charge against Hydra as Nazi Germany faces defeat by the allies. More than just a spot of viewer-baiting it provides a welcome tease for the upcoming mid-season Agent Carter series. All in all, AoS may have had an uneasy ride during its first season but is sure to deservedly find itself atop of the watch list of many a discerning comic book fan. The bottom line: Agents of S.H.I.E.L.D. 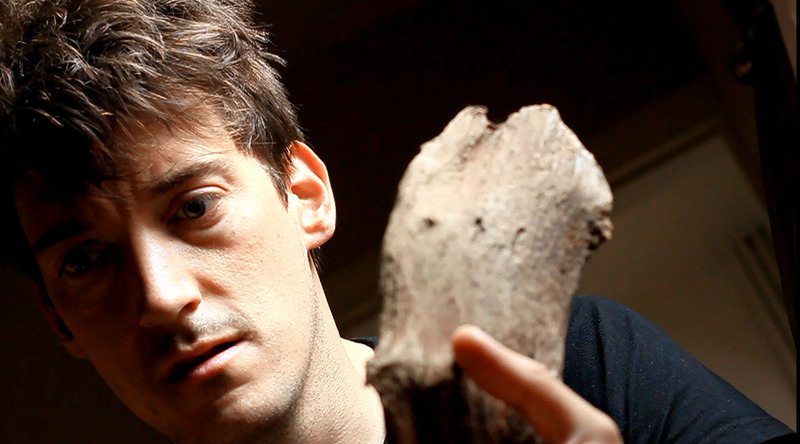 is back with gusto and based on this season’s premiere, shows great potential for the show’s future. What did you think of the season premiere of Agents of S.H.I.E.L.D. ? Share your thoughts below!